Julie Schnepp is the Co-Founder and President of RE/MAX Legacy, Voted Best of Madison County 2015 by the Herald Bulletin. Julie began as a highly sought after three sport athlete and all state volleyball player. She attended Indiana University on a volleyball scholarship where she set freshman big ten records. Wanting to be closer to home, Julie finished her volleyball career at Ball State University while pursuing an education degree. Drawing on her coaching background, Julie entered the real estate business in 1992 and was an immediate success. Utilizing her teaching and coaching background, Julie leads her clients through the real estate buying and selling process with great purpose and precision. Applying her vast experience selling, Julie is a tough advocate for her team’s clients. Representing her client’s best interest, Julie is able to negotiate the best possible outcomes for her clients while adhering to a strict code of ethics. In 2014, RE/MAX Legacy closed 147 transaction sides and sold over 19.2 million in sales volume earning the team the 2014 RE/MAX Chairman’s Club award. Throughout her career, Julie has received many awards including Rookie of the Year for Better Homes and Gardens Real Estate. After moving to RE/MAX she has been honored with RE/MAX Presidents Club, Sagamore Club, Platinum Club, Lifetime Achievement Club and Chairman’s Club distinctions as well as a member of the RE/MAX Hall of Fame. Most recently she has joined the prestigious ranks of the Top 5 in real estate. In 2001, Julie Co-Founded the RE/MAX Legacy with her husband and best friend Tim Schnepp. Tim and Julie lead this powerhouse team with the support of their devoted team members. Each team member is dedicated to providing excellent client relations, marketing, and exceptional service to the team’s clients. Tim and Julie both enjoy leading, coaching, and educating their staff and clients. Seeing their staff grow and their clients having great success in their real estate endeavors is part of the team mission. Julie and her husband, Tim Schnepp, have been best friends since grade school and live in Pendleton, Indiana, their childhood town. Tim and Julie have two daughters, Elizabeth Valentine and Leigh Ann Rogers and two granddaughters. After college, both Elizabeth and Leigh Ann have joined the family real estate business to build on a solid foundation In Julie’s spare time she enjoys being a sports enthusiast of her favorite teams, water sports, traveling, and enjoying time with family and friend. Tim Schnepp Co-Founder of the RE/MAX Legacy team, Tim began his career in the engineering field with General Motors. Tim took great interest in design engineering because it appealed to his creative side and decided to pursue this passion. Through hard work, Tim became a lead designer and enjoyed seeing his project go from an idea to reality. After several years in engineering, Tim followed his entrepreneurial spirit and combined his love for woodworking and design skill to start a custom kitchen and bath remodeling business. As a young business owner, Tim honed his skills of design, sell, and build. For Tim there was nothing better than seeing a customer smiling from ear to ear when the project was completed. After a few years in the kitchen and bath business, Julie, Tim’s wife suggested that they combine their individual skills to form the powerhouse team. Tim was no stranger to the real estate business as he supported and helped Julie and her business for years. Tim jumped at the great opportunity and team was formed in 2001. With his diverse background, Tim started setting up the team with technology and systems and quickly was able to double the team’s yearly sales. Looking for ways to service their clients better, the team decided to join RE/MAX in 2002. It wasn’t long before they knew they made the best business decision of their real estate career by joining the #1 real estate company in the world. In 2005, seeing the team’s success, RE/MAX awarded them the opportunity to open their own RE/MAX Real Estate Brokerage. Later in 2005 RE/MAX Legacy was opened. 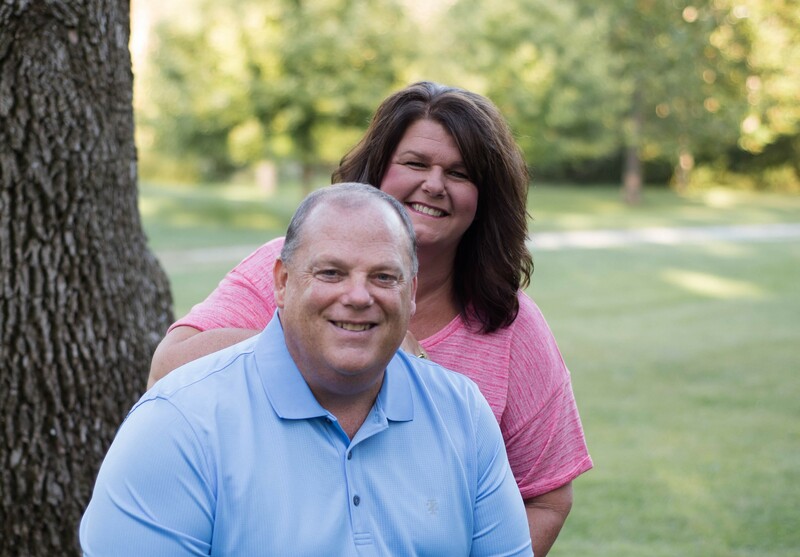 This family owned real estate business, with the leadership of Tim and Julie Schnepp strives to provide the most professional, informative, ethical, and dedicated real estate service in Central Indiana. Tim also believes that providing accurate and up to date information, skilled analysis, and sound real estate advice is of the highest priority for the team’s clients and the clients’ best interest.